Instructor of Systema at Academy of Self Defense since 1996. 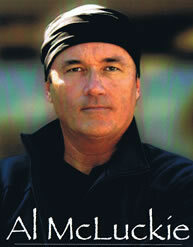 Mr. McLuckie has studied various Martial Art forms since 1972. He is a Advance Instructor in Serrada Eskrima under Grandmaster Angel Cabales. In October of 1998, Mr. McLuckie met Vladimir Vasiliev and was captured by Systema's effectiveness and power. Certified to teach in 1999, he continues to study actively. He now works to apply Systema's principles to the previous arts he learned adding depth and effectiveness to his personal Warrior Arts Curriculum. Alan McLuckie has over 33 years of extensive training and research in the Filipino, Chinese, American and Indian Martial Arts. He has studied with some of the world's foremost masters. Mr. Hatfield has said that, "Al is one of those rare men who can take another art and make it his own," seamlessly integrating any new knowledge with his other arts. 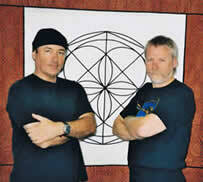 In 1998, Mr. McLuckie was exposed to Systema and was certified to teach The System in 1999 by Vladimir Vasiliev. His Systema training is on going. In 1981, Mr. McLuckie met Lee Wedlake and began an exchange of ideas. This friendship continues and allows Mr. McLuckie to freely relate his ideas with students of American Kenpo. In Kenpo Karate 101, Lee Wedlake says, "My good friend and without a partner, Al McLuckie taught me the basics of the arts he trained in. Cabales Serrada and Pekiti-Tirsia were the major influences. We both worked with Danny Inosanto and Leo Gaje; both well known Filipino instructors. Al became my model. When I learn a technique, I think about how well it may work against him. He is lightning fast and powerful." Mr. McLuckie is a remarkable Martial artist and instructor. Huk Planas once said to Mr. Hatfield to watch Al (McLuckie) because he is one of the few martial artists who uses his whole body and not just his arms. Lessons and seminars with Mr. McLuckie are inspiring and will change the way students view Martial Arts. 1972-1977 Tae Kwon Do, Japanese and Okinawan Karate. 1977 Introduced to student of Mike Inay & Angel Cabales. Subsequently trained with Mike Inay, Angel Cabales, Dan Inosanto and others. Attaining the rank of Advance Instructor in Serrada Eskrima under Grandmaster Angel Cabales. 1981 Studied Modified Wing Chun with Herb April, a student of Jesse Glover. 1981 Began 9 years with the Degerberg Academy in Chicago as Head Eskrima Instructor. 1980's Trained in several of Silat systems. 1987 Study Hsing - I Kung Fu with Wai Lun Choi. 1997 Began study in Indian Lathi (Staff Art). 1999 Certified to teach Systema by Vladimir Vasiliev. 1982 Fought and placed in the Midwest's first full contact stick fighting tournament in Chicago. Conducts seminars for Search and Rescue International and Lethal Force Institute. Appearance with Bruce Lee protege Dan Inosanto in the book "Spiritual Dimensions of the Martial Arts."